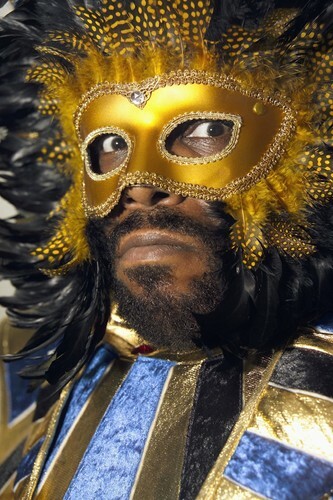 Named by Life Magazine as one of the most important Americans of the 20th Century, DJ Afrika Bambaataa is a musical visionary, DJ extraordinaire, living legend and founder of the Universal Zulu Nation – a collective of socially and politically aware emcees, DJs, graffiti artists and break dancers. With over 35 years trailblazin’ around the world, Bam, as he's affectionately known, can almost single-handedly be credited for the urban music revolution - redefining music and culture as we know it today. In fact, Bam is the person responsible for coining the term "Hip Hop" in reference to this global movement. The man behind Hip Hop/Electro Funk classic 'Planet Rock' over the years has co-produced and performed with the likes of James Brown, George Clinton, UB40, Fort Knox Five, Leftfield, Jungle Brothers and A Tribe Called Quest among many others. Bam's futuristic soundscapes became a major influence in the development of not only hip-hop, but have also been instrumental in laying the foundation for Breaks, Electro, Freestyle, Techno and House music. “Planet Rock” has become arguably the most sampled song in music history, having been remixed and sampled by the likes of Paul Oakenfold, Westbam, George Acosta, LL Cool J, Mariah Carey and countless others. Rap/Metal band Rage Against The Machine also famously covered Bam’s track ‘Renegades of Funk’. Still extremely active, Bam continues to record, tour and educate, maintaining his status as a living legend and forefather of the art. In 2006, Bam was honored for his incredible achievements by American music channel VH1 at the annual 'Hip Hip Honors' show and in 2007; he was nominated for induction into the Rock & Roll Hall of Fame. More recently, Bam accepted an appointment as visiting scholar at Cornell University where he speaks to classes, meets with students, community groups and performs the music he helped create and expand. This is a not-to-be-missed opportunity to sample what a New York City Block Party is all about, live and direct from the Boogie Down Bronx! 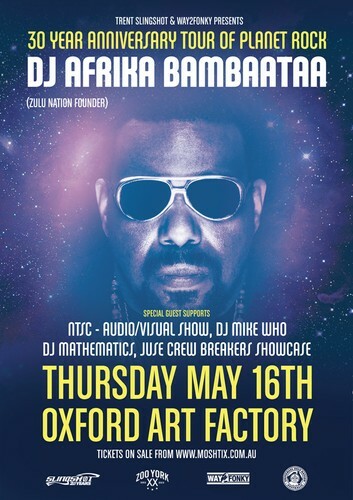 Be immersed in the knowledge of a master, icon and living treasure that is DJ Afrika Bambaataa.